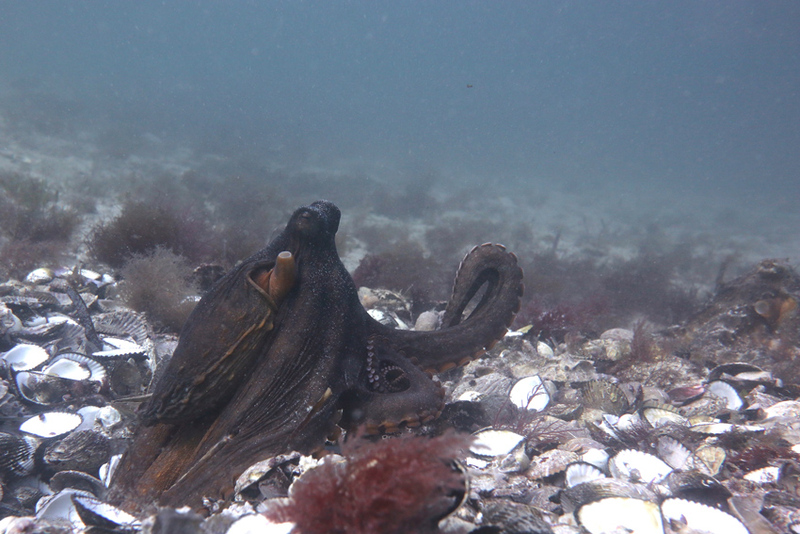 A few months ago a paper appeared online that argued, among other things, that octopuses might have arrived from space several hundred million years ago as frozen eggs, carried by a meteorite. The paper has 33 authors and is in press in a journal called Progress in Biophysics and Molecular Biology. Much of the article is concerned with an older idea that all life on Earth might have been seeded from space, but it is the octopus claim that has been picked up by the media. Several news stories* have also made a connection between this article and my book Other Minds, where I claim that because of their combination of behavioral complexity and evolutionary distance from us, encountering a cephalopod like an octopus is probably the closest we will come to meeting an intelligent alien. Might octopuses really have come from space? Is this a possibility to take at least somewhat seriously? I don’t think it should be taken seriously at all; it is vanishingly unlikely to be true. A number of people have said, mostly fairly politely, that they think the idea is crazy, but they’ve not said why it’s crazy. One person said that “no evidence” had been presented for the claim, which makes it sound like a possibility that cannot yet be ruled in or out. A social media mention appealed to Occam’s Razor, the idea that we should prefer simpler to complex hypotheses when we can. But we ought to be be able to do better than this (especially as I think that “Occamist” arguments are usually weak). So why do I write the idea off rather than taking it seriously? In gene family content, domain architecture and exon–intron structure, the octopus genome broadly resembles that of the limpet Lottia gigantea, the polychaete annelid Capitella teleta and the cephalochordate Branchiostoma floridae…. 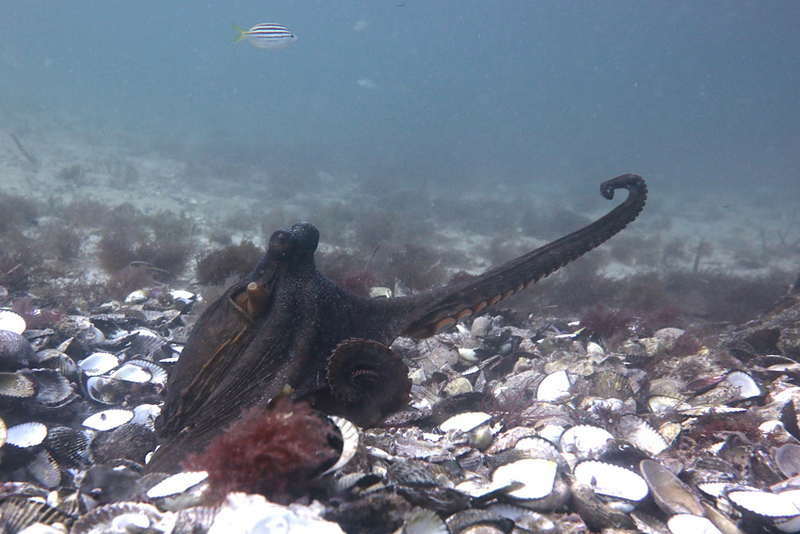 Relative to these invertebrate bilaterians, we found a fairly standard set of developmentally important transcription factors and signalling pathway genes, suggesting that the evolution of the cephalopod body plan did not require extreme expansions of these ‘toolkit’ genes…. Some of the language here is technical, but the basic ideas are simple. 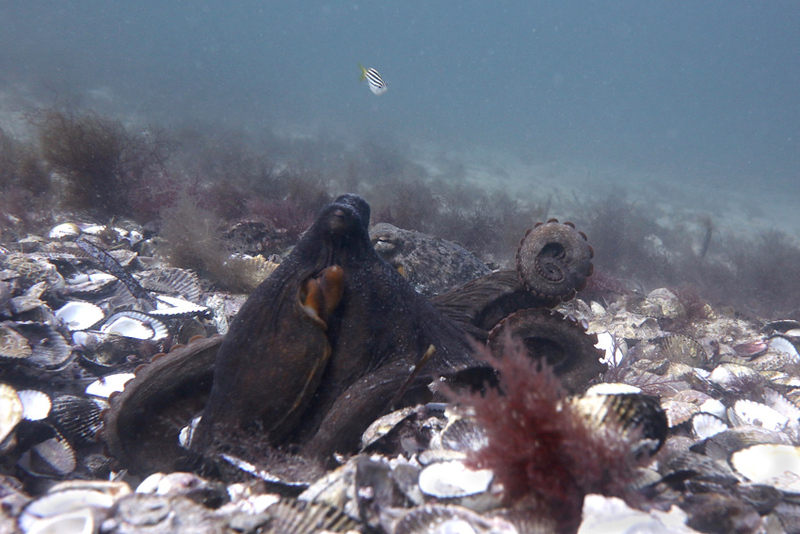 Octopuses have fairly similiar collections of genes to limpets (those flat shellfish that stick tightly to rocks), to a marine worm (annelids are the group that includes earthworms), and a lancelet (a silvery fish-like sliver of an animal that is a fair bit closer to us). Barring the most freakish improbabilities, there is no way an animal living on another world could end up with such a similar set of genes to animals here on Earth, such that when it came here frozen in a meteorite, it would have all sorts of apparent relatives among limpets and worms. In some ways there’s no reason to expect that aliens would have a genetic system similar to ours at all (with DNA and RNA and all the rest), but setting that aside, if octopuses are insertions from another world, they should not look like genetic cousins of limpets and worms. 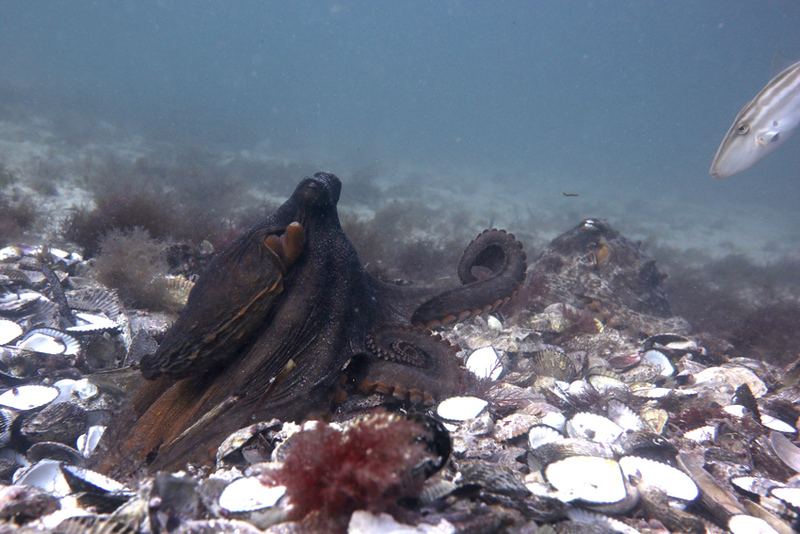 The octopus does have genetic quirks, but these fit in as quirks of an unusual animal with a rich set of geneaological relationships to other animals around us here. ** The genetic evidence leaves no real doubt that octopuses evolved on Earth. They are like aliens but they are not really aliens. Do I think this paper should not have been published? In general I am very reluctant to say things like this – I think it’s fine for all sorts of weird and controversial ideas to get published and discussed. But in this case, I do think there was a sort of breakdown, and the paper ought not to have been published in the form it has. The journal is an “Elsevier” journal, in a range alongside a lot of prestigious ones, and the newspaper articles that have picked it up say things like this: “Octopuses are aliens. That’s the claim being made by a team of 33 researchers published in a peer-reviewed scientific journal.” In a journal with that title and the characteristic Elsevier presentation, the usual expectation would be that the paper will have been refereed (peer-reviewed) and assessed in the usual way, and here something does seem to have gone wrong. If the reviewers of the paper included any kind of zoologist, they’d immediately point out what I say above about octopus genetics, and that should have been the end of it, at least for that part of the paper. To publish it anyway makes genetic evidence about evolution and the history of life look softer and less informative than it really is. * Other news stories are here, here, and here. *** The paper has various other problems on the zoological side. It says: ”The genome of the Octopus shows a staggering level of complexity with 33,000 protein-coding genes more than is present in Homo sapiens (Albertin et al., 2015).” This is an error, though perhaps a typo or poor piece of expression. An octopus does not have 33k more genes than us; it has 33k protein-coding genes, which is probably more than us. The transformative genes leading from the consensus ancestral Nautilus (e.g. Nautilus pompilius) to the common Cuttlefish (Sepia officinalis) to Squid (Loligo vulgaris) to the common Octopus (Octopus vulgaris…) are not easily to be found in any pre-existing life form…. The nautilus is not a likely ancestor of octopuses, and there is certainly no line of descent from nautilus to cuttlefish to squid to octopus. Those last three – cuttlefish, squid, and octopus – are all present-day animals who share common ancestors, with squid and cuttlefish sharing a more recent common ancestor than squid and octopus. 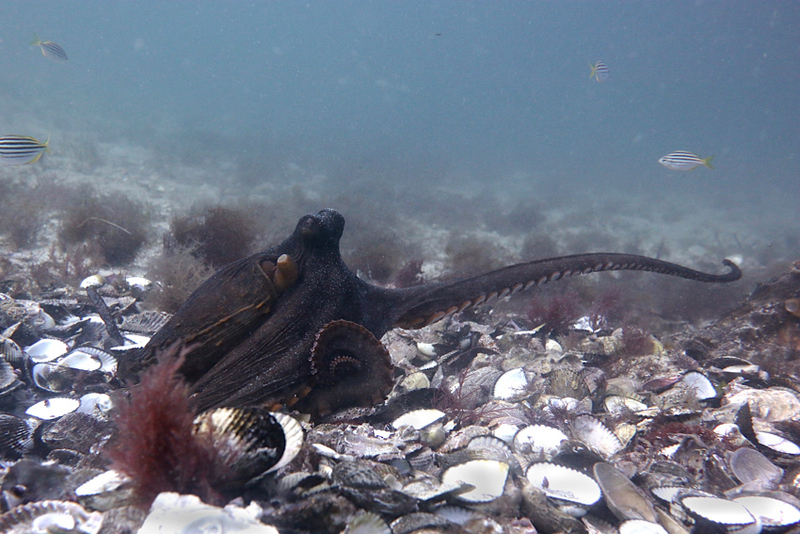 For what is known about cephalopod origins and these relationships, see this paper by Björn Kroger and coauthors. The photos in this post are a chronological sequence taken at Octlantis. This entry was posted in Cephalopods, Octopus and tagged alien, Octopus. Bookmark the permalink.